Through a newly established partnership, The Ministry of Youth Development and the Ngāi Tahu Fund are offering an opportunity to fund group projects up to $5,000 to support Rangatahi Cultural Leadership and creative expression. 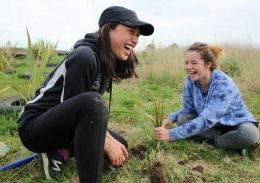 Applications will be considered from Rangatahi aged 12- 24 (where the applicant is under 18 years-of-age, the application must be signed by a parent or guardian. Applications submitted to Ka Pū Te Ruha will be reviewed by a funding panel from the Ngāi Tahu Funds and the Ministry of Youth Development. Applications are closed for 2018.